Make sure Mom has a good pen. Looking for a good gift for a coworker or that favorite teacher? Maybe that person that has a hard time finding their pen on the desk. 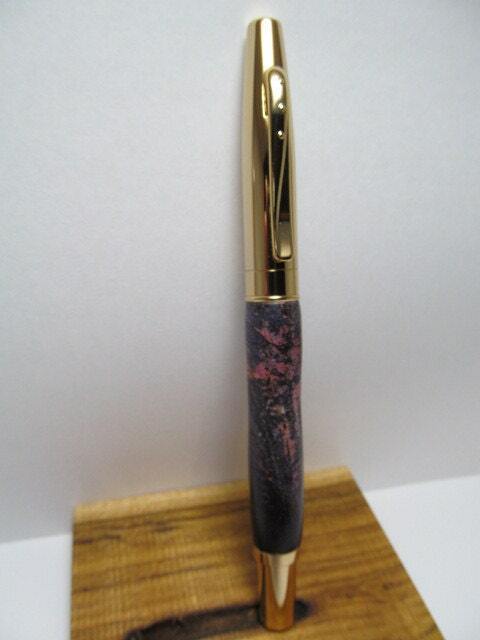 The mottled look makes this pen stand out and is a great conversation starter. This is a roller ball style pen with a screw on cap,gold finish, and measures 5 1/2" long. Comes with a velvet presentation sleeve.